The new site includes all drilling permits, now readily found by company name or permit date as well as the permit number. 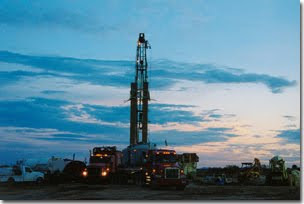 Monthly production reports from Arizona wells go back to their beginnings. The Commission has had no paid staff since the early 1990s (due to previous budget cuts) so the AZGS has been tasked to provide the technical and administrative staffs to carry out the Commission's duties. AZGS maintains the web site as well. The Commission has been busy lately permitting potash exploration coreholes in the Holbrook basin because the holes penetrate potential oil and gas-bearing zones, making them subject to Commission oversight.